Once called alligator pears, lusciously creamy avocados are one of my favorite fruits. I love how versatile avocados are. 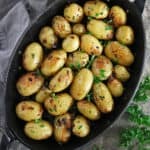 They are a wonderful substitute for butter as well as a simple topping that has made just about any concoction out of my kitchen, shine. 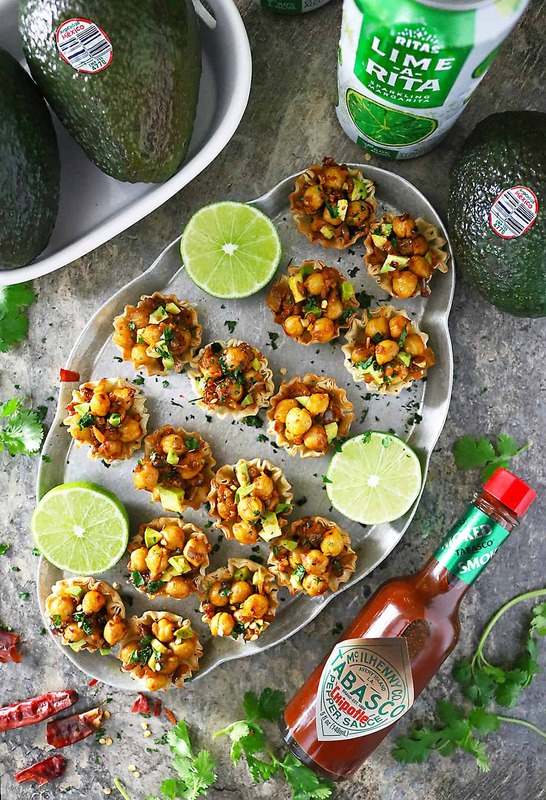 So, it’s no surprise that avocados, specifically Avocados From Mexico, are the star of these little Avocado Chickpea Cups along with TABASCO® Pepper Sauce! 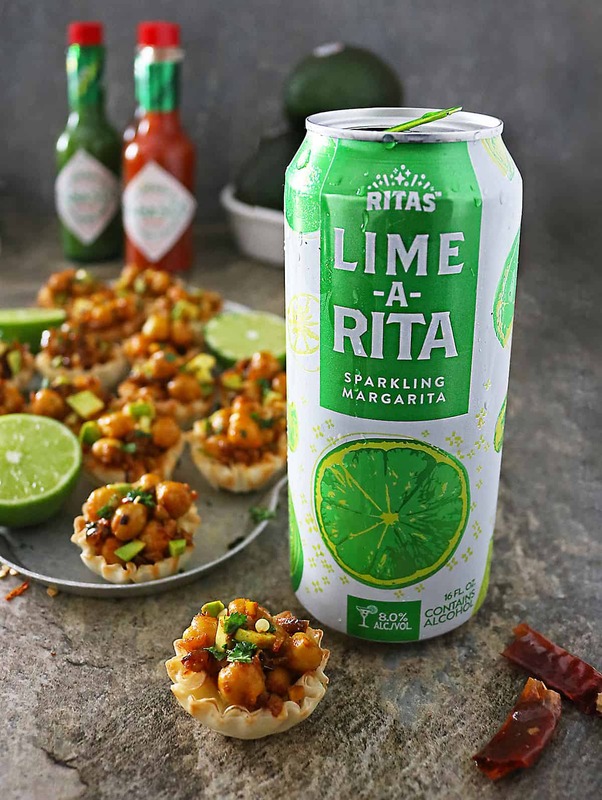 Served with fruity, fizzy, & fun, Lime-A-Rita, these are a delicious vegetarian option I’m serving up at a virtual Big Game Day get-together with Lauren from Midget Momma, Paula from Bellalimento, Tiffany from Living Sweet Moments, and Vicky from Mess for Less. Originally I was going to make a spicy hummus and a spicy avocado crema and intricately pipe both the hummus and avocado crema into little phyllo cups. 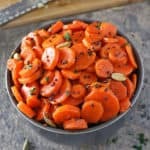 But, after a crazy, hectic day, I didn’t have time for that and I am thinking these simple ingredients sauteed together will make for a quick, tasty and EASY appetizer to pull together so you can focus more on catching up with your guests. 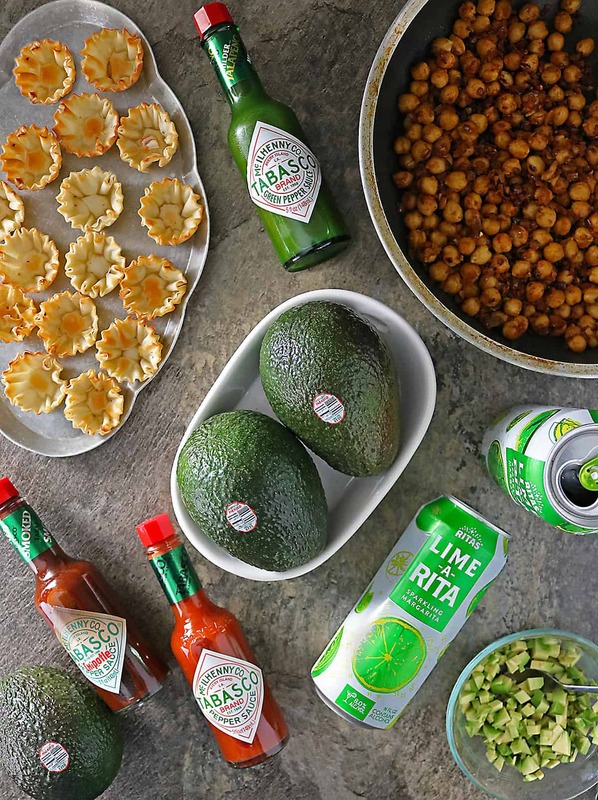 I sauteed a few simple ingredients such as coriander, smoked paprika, chickpeas, onions, garlic and TABASCO® Pepper Sauce together, added in lime-sprinkled, salted, delicious, Avocados From Mexico and these appetizers were ready to enjoy with chilled, fruity, fizzy, & fun, RITAS! Avocados From Mexico are always worth it because they’re healthy, delicious, and always in season. 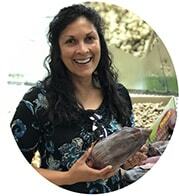 For delicious recipe ideas and inspo, make sure to check out the Avocados From Mexico website and follow them on their social media channels: Facebook, Instagram, and Twitter. Versatile TABASCO® Sauce is a staple in my home as it can be used as a condiment or an ingredient. TABASCO® Pepper Sauce which is made from three simple ingredients: red peppers, salt, and vinegar and it adds a kick of flavor to your favorite meal. TABASCO® Green Sauce which adds a refreshing, tangy jalapeno zest to your favorite foods. 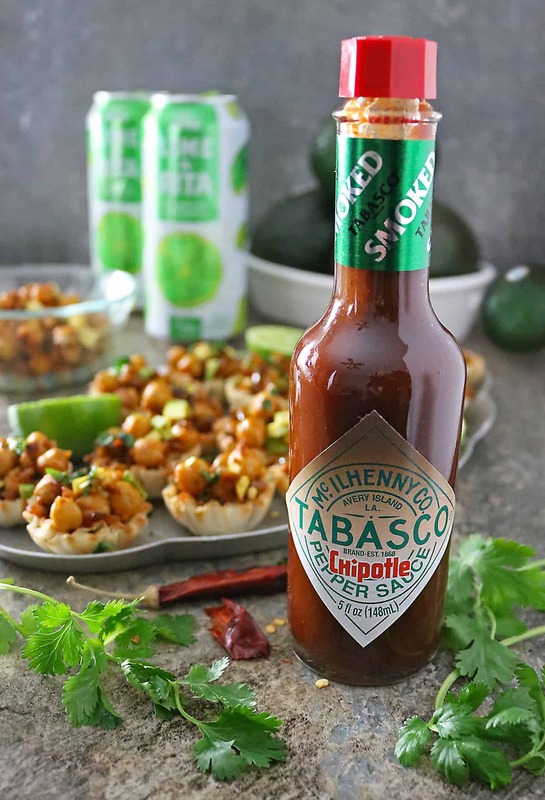 TABASCO® Chipotle Sauce which adds a rich, smoky flavor to meals. 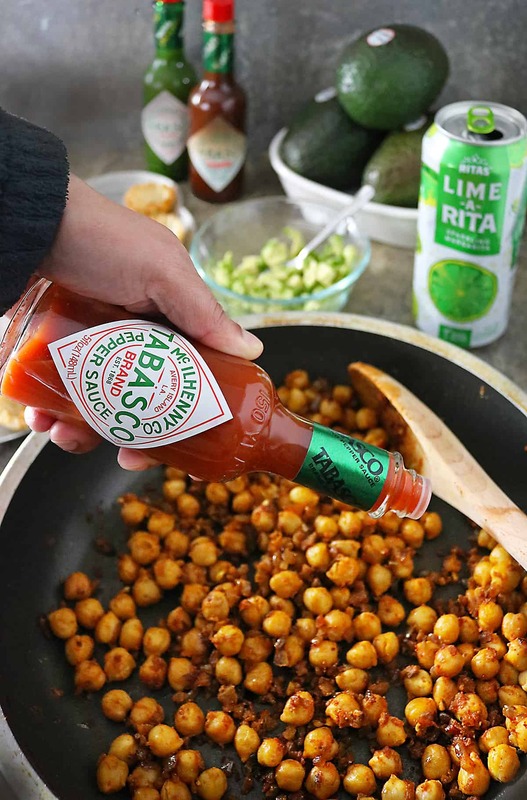 If you are looking to #FlavorYourWorld, head on over to the TABASCO® Sauce website and follow them on their social channels: Facebook, Instagram, & Twitter. Check out RITAS website for fruity, fizzy fun drinks that pairs perfectly with any meal and follow them on their social channels: Facebook, Instagram, & Twitter. By the way, Now you can enter to win a $1,000 prize! 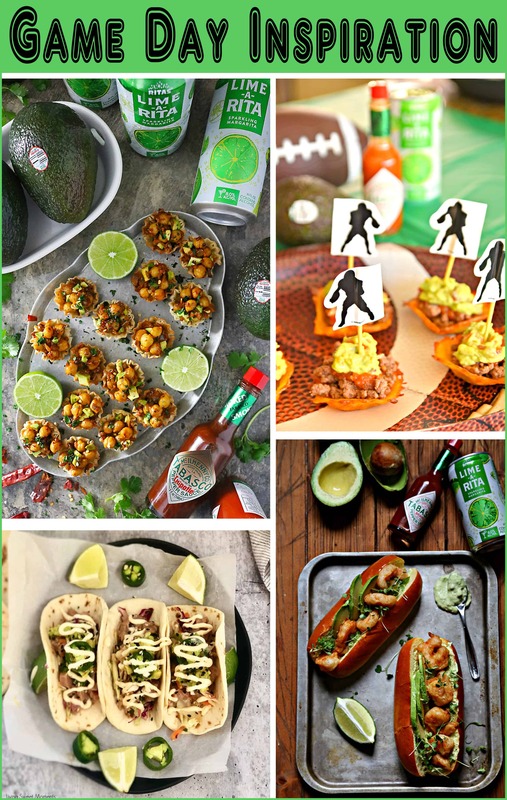 Follow the TABASCO® Brand Pinterest account. Share a link to your pin. Repin one image from the blog post and leave a link to the repin. 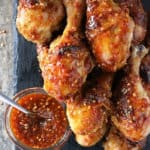 Before you head out to grab ingredients for this recipe, I think I have a few more Game Day recipe suggestions you might want to add to your Game Day menu from Lauren from Midget Momma, Paula from Bellalimento, Tiffany from Living Sweet Moments, and Vicky from Mess for Less! 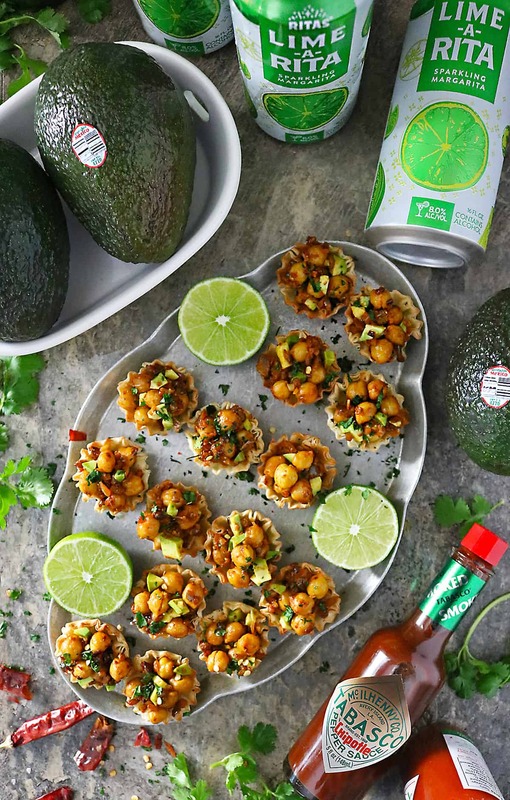 Serve up deliciousness with these tasty, flavor-packed, TABASCO® Pepper Sauce-spiked, mini Avocado Chickpea Cups ~ along with lime-sprinkled, salted, delicious, Avocados From Mexico! These Game Day appetizers are a treat with chilled, fruity, fizzy, & fun, RITAS! Preheat oven to 350 degrees and when heated, place phyllo cups on a parchment lined baking tray and bake for 7-10 minutes. Remove from oven and set aside while making the filling. Add olive oil to a medium pan. Chop onion and garlic and add to pan. Saute onion for 10-15 minutes, constantly stirring so onion doesn't burn. Drain the water out of the chickpea can and then rinse chickpeas with tap water. Add rinsed and drained chickpeas to pan with onion and garlic. Add in the coriander, smoked paprika and turmeric and stir well. Add in 3-5 shakes of TABASCO® Pepper Sauce and remove pan from heat. Remove the skin off an avocado and chop it up. Squeeze half a lime onto it. Season with salt and pepper and add avocado to chickpea mix and stir well. 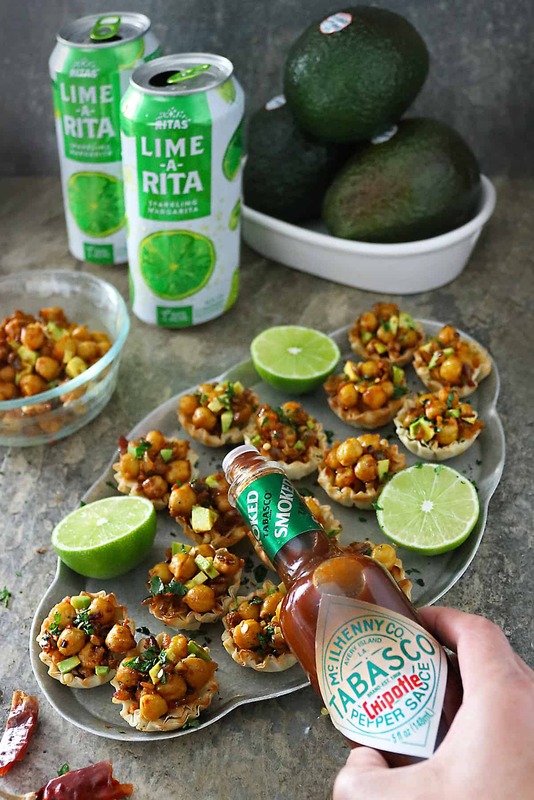 Spoon Avocado Chickpea mix into prepared phyllo cups, serve with TABASCO® Pepper Sauce and RITAS! A dozen for me, please 🙂 These chickpeas cups look fantastic, Shashi. This looks so impressive, but I love how it is also easy to put together. 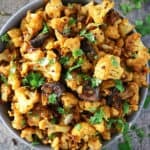 Perfect for when you are enjoying the big game with friends and don’t want to spend all day in the kitchen. 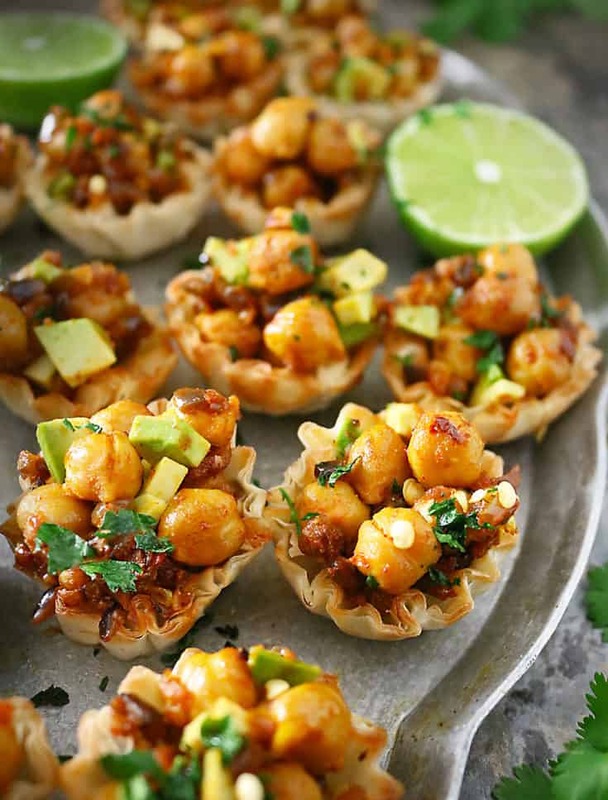 These little Avocado Chickpea Cups are really cute and appetizing! gonna try it out soon and will introduce this amazing recipe to my mom. 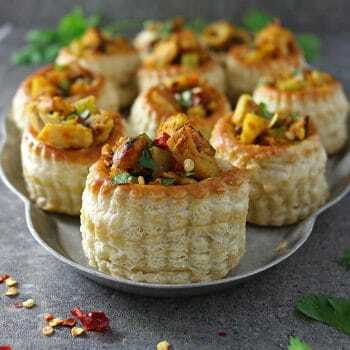 Thanks Shashi for sharing this delicious snack recipe. 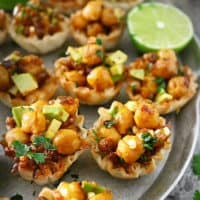 These spicy avocado chickpea cups look amazing Shashi! 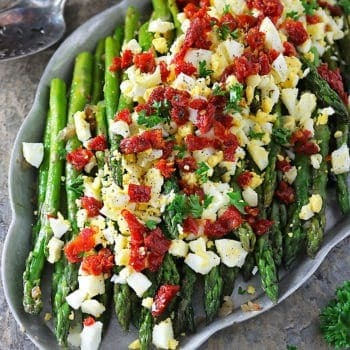 What a great, simple and tasty idea. These wouldn’t last long with Lynne and I! Neither would the Sparkling Margarita. LOL!